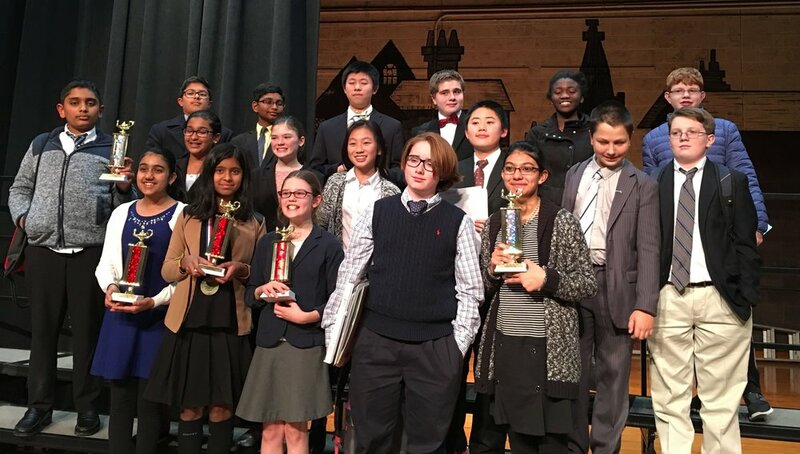 Seventeen of our Westfield middle school debaters competed in a field of 234(!!) 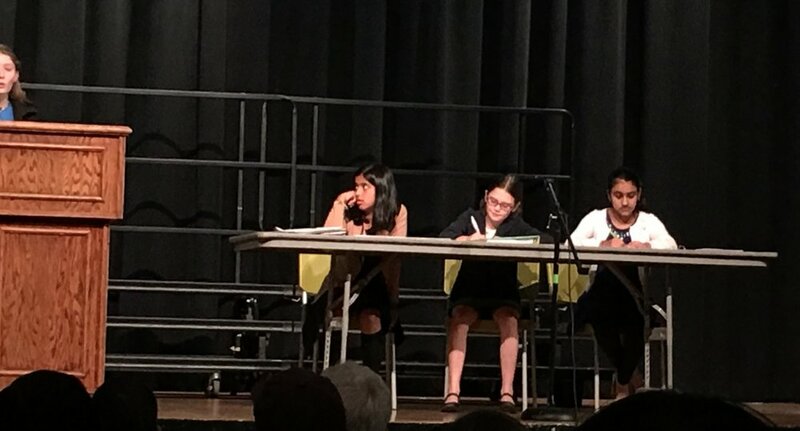 debaters from across the state in the largest to-date middle school debate tournament in this league. They argued the resolution: This House would institute year-round schooling. 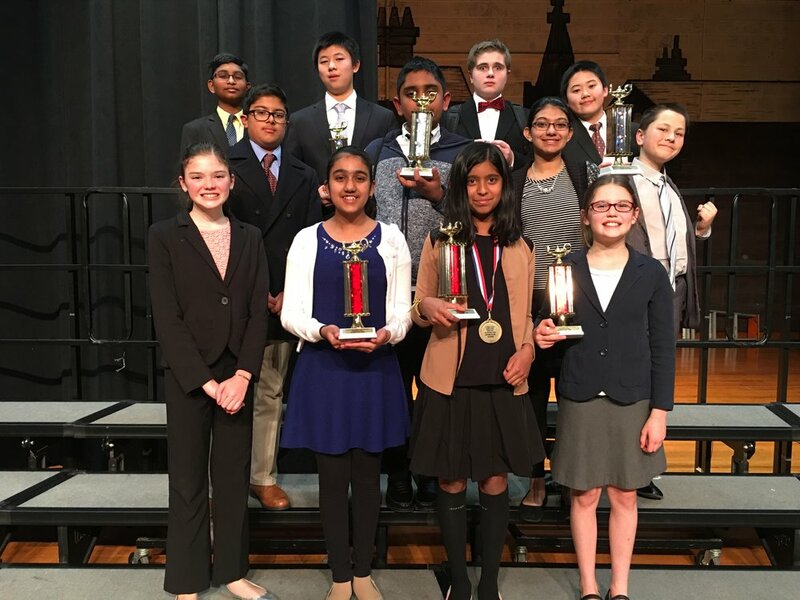 Competing for Westfield were: Michael Galla, Evan Davis, Tatiana, A.J., Grace, Abhi, Michael Hoffman, Ian, Kevin, Claire, Ananya, Nidhi, Eira, Rachel, Varun, Charles, Anisha. 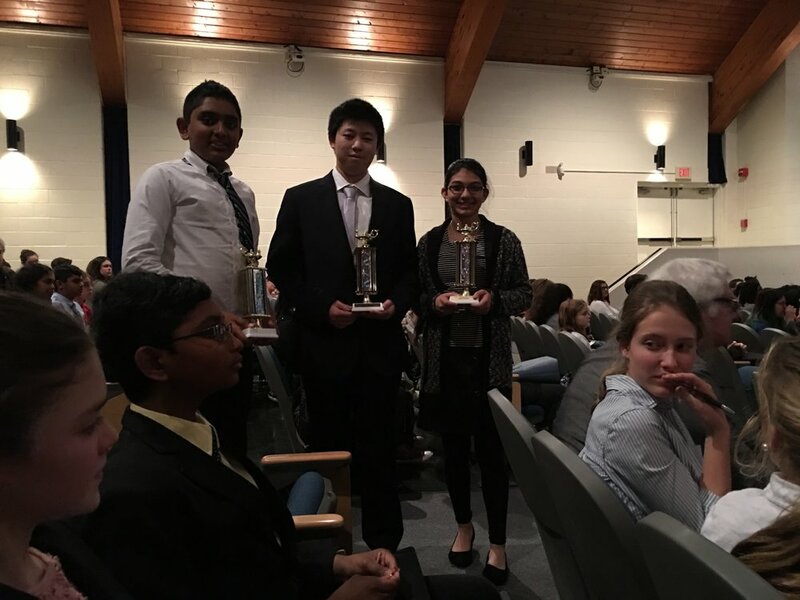 Of these 17, for 6 of them - Tatiana, Michael Hoffman, Ian, Ananya, Rachel and Varun - it was their first-ever debate competition. Claire, Ananya and Nidhi made it to the Exhibition Round!! They are 10, 11 and 12- years old respectively and Ananya was in her first debate competition! 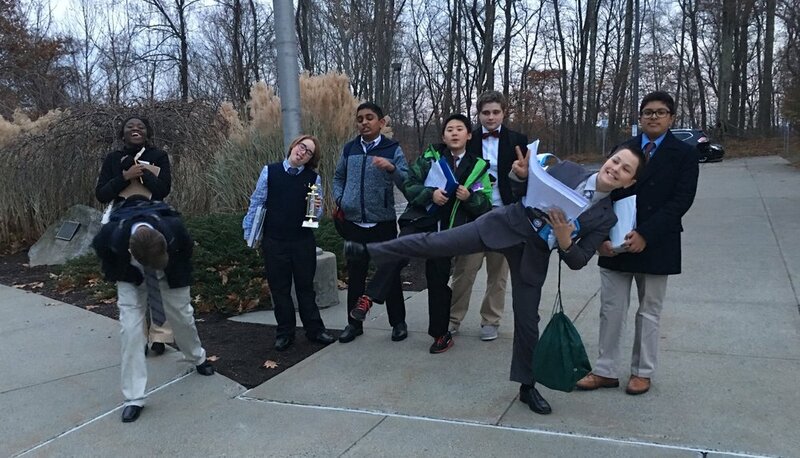 They competed in the Exhibition Round against 3 seasoned 8th grade debaters! And they did a wonderful job! They were poised, calm, cool and collected. We were all so proud of them! They ended up taking 2nd Place Overall Team, an incredible accomplishment especially in such a large field. Amazingly, of the top 9 teams who were all undefeated, 4 were Westfield teams! Westfield also took 5 of the top 20 Individual Speaker places! Nidhi was Second Overall Speaker! Kevin was Eight Overall, Anisha was 10th, Grace was 14th and Eira was 19th!! Being honorable means being gracious in victory and when things don't go as you hoped. I saw some remarkable acts of courage on display Saturday from our middle schoolers. Claire, Ananya and Nidhi were remarkably courageous in the way they conducted themselves on that stage. There were also other less visible acts of courage. Two of our debaters - Jacob and Annika - were sick and couldn't come leaving their teams down a debater. Tatiana stepped up on the last day to join one of the teams so they would have 3. This was a hard thing to do because she wasn't prepared. It was also a challenge for her teammates because it meant being flexible with their arguments and order which is very hard. And Eira and Rachel - who was at her first tournament - found out late the night before the tournament that they had to argue as a 2-person team rather than a 3-person. None of these kids complained; they just did what they had to do. For one of our boys, he has unfortunately had this happen before. His initial reaction was to say he wasn't coming but when he realized that would leave his other teammate with no one he agreed to do it anyway. I know how hard that was for Michael and I am very proud of you. There is also courage required when you feel the judges' scores do not accurately reflect the round. While it is true that judging is subjective, it is also true that sometimes the scores don't accurately reflect a round. We do our best to provide judges with training but sometimes the results of a round can leave you scratching your head. As I always tell the kids, you can never live or die based on one competition. But, eventually, as we have seen time and time again at Westfield, cream rises. If you keep working hard and getting better and better, good things happen. We are very proud of all our debaters and all the courage and graciousness that Westfielders displayed in spades on Saturday!! Thank you so much to our parent judges: Garrett Flynn, Catherine Flynn and Anshuman Prakash! We couldn't do this without you. And to the parents who trained on Saturday so they can judge in the future: Vidya Sundaram and Mamatha Kadiyala.